“Learning Clojure is the best way you can improve as a programmer because it introduces you to powerful concepts implemented in a simple, cohesive, and practical language. You learn Clojure here. Therefore, Brave Clojure is your very best friend when it comes to programming.” And lo, the syllogism was born! 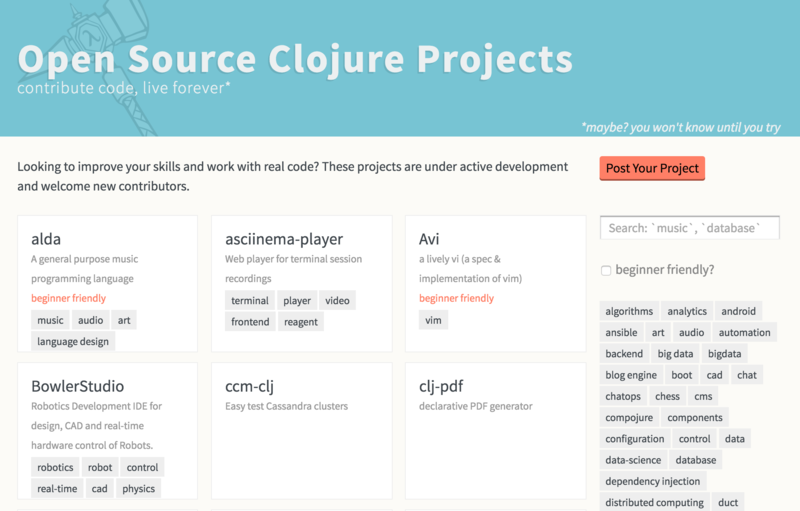 Do you want to learn Clojure, the most powerful and fun programming language on the planet? Do you want to unravel the mysteries of Lisp and functional programming? Do you want to punch hobbits and track down glittery vampires? Then you need to read this book! Clojure’s popularity continues to grow, with companies like Netflix using it to build everything from complex, distributed systems to simple microservices to user interfaces. 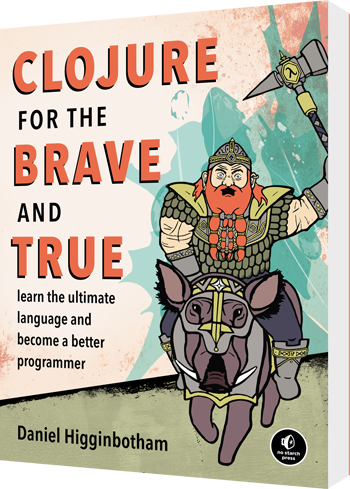 In Clojure for the Brave and True, you'll learn to wield this awesome language to its fullest! The first and only job board just for Clojurians! Become a better programmer by getting paid to write Clojure. 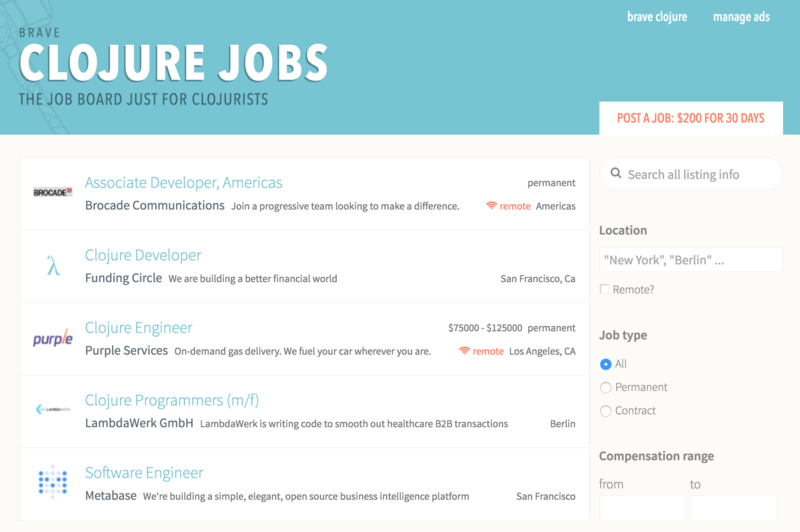 Employers: Brave Clojure is one of the most popular and trusted sites for Clojure programmers. There's no better way to find qualified candidates. Looking to improve your skills and get involved in the community? These projects are well documented and actively seeking new contributors! Part of the joy of learning Clojure is learning new ways to think about programming, and then gloating to your colleagues over your new found knowledge. Brave Clojure Quests will provide you with a steady stream of instructional material for deep topics so that the gloating never has to end and you can become truly insufferable. The Clojure Atom is a bi-weekly email I'm cooking up. Every other Thursday, you'll get a single link to a high-quality, free instructional resource. Once it's ready, anyway. Sign up now so you don't miss a single issue!